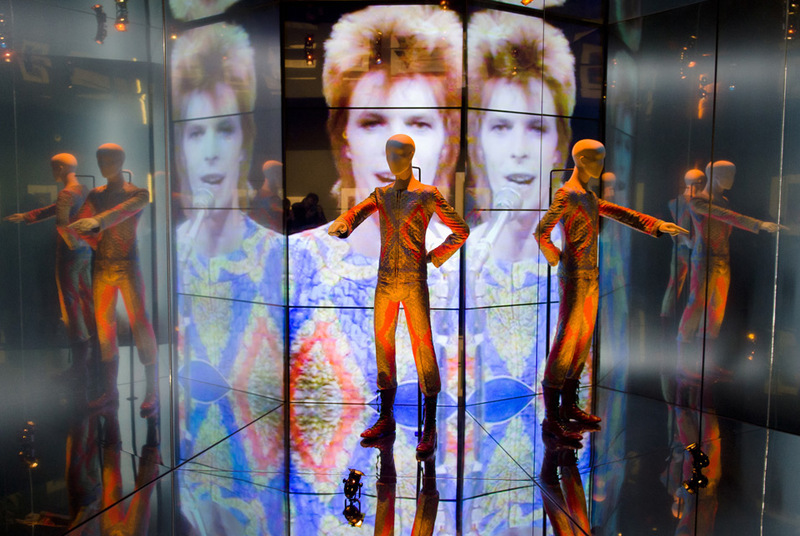 Keanan Duffty explores who "David Bowie Is" at The V&A in London! Keanan Duffty explores who “David Bowie Is” at The V&A in London! The Victoria and Albert Museum in London has been given the unprecedented opportunity to curate the first international retrospective of one of the most pioneering and influential performers of modern times, David Bowie. The V&A’s Theatre and Performance curators, Victoria Broackes and Geoffrey Marsh, have selected more than 300 objects brought together for the very first time from the David Bowie Archives (including handwritten lyrics, original costumes, fashion, photography, film, music videos, set designs, Bowie’s own instruments and album artwork) to create “David Bowie is”. The exhibition explores the creative processes of Bowie as a musical innovator and cultural icon, tracing his shifting style and sustained reinvention across five decades, as well as the broad range of Bowie’s collaborations with artists and designers in the fields of fashion, sound, graphics, theatre, art and film. Senior Director of Fashion Merchandising, Keanan Duffty, saw the exhibition in London and spoke to Geoffrey Marsh about the process of curating and staging “David Bowie Is”. Keanan Duffty: What was the trajectory and timeline for putting the ‘David Bowie Is’ exhibition together? Did the planning begin a long time ago? Geoffrey Marsh: A lot of museum exhibitions take about three or four years [to produce]. Much of that time is taken up in arranging loans, as you might be bringing things from all over the world. “David Bowie Is” was much quicker than that. The reason being was that we were going to do another show, about another rock star in this slot, and got to a point with that project where it wasn’t going to happen in the time frame we needed. This was at the end of 2010. Someone who works with a number of rock stars got in touch and said, “Would you be interested in David Bowie?” This person had spoken with Bowie’s archivist, and we went to have a look at the archive. The collection is enormous-they have not thrown anything away! Basically in 2011, we spent about three patches of time for two or three days in New York working through the Bowie archive. Bowie’s archivist has worked for him for a few years, so David Bowie had actually nothing to do with [putting the exhibit together]! I have never spoken to him or met him. He could check the exhibit for historical accuracy, but his team could not change the interpretation and that was pretty much how it was delivered. Curators work in a few different ways. Some want to get everything in one place and look at it. I work like a portrait painter: sketching out what I want to do and then adding different layers on to it. A review in The Spectator this past week said that the [V&A] exhibition was like being in Bowie’s mind: thrilling and alarming at the same time. That was exactly what we were trying to achieve. KD: David Bowie is very elusive these days. Do you think his mystique is a conscious reaction against the world of celebrity culture? Did his absence add to the attendance frenzy around the ‘David Bowie Is’ exhibition? GM: Yes. What I mean by that is he’s not really David Bowie at all. He’s David Jones. David Bowie is a construction, like everything else, but the construction is so realistic that people think they have met David Bowie when, in fact, they might have met David Jones. I think there are two things that interest him. One is mutation, and the fact that people change. Society changes, and I think that is something that fascinates him. He’s interested in the idea that you can manipulate media around that concept. I think he sees it as something to be worked on, worked with, worked against. He’s got a strategy, and then he goes and finds the right people to work with to realize his ideas. He is also fascinated with the idea of an artist stopping work. Most artists are obsessive and can’t stop working. Marcel Duchamp is the only artist who consciously stopped work. I suspect that when he stopped, the idea began to intrigue [Bowie] and lots of artists. It’s less about mystique and maybe more about saying to the world, “If you think you’re that good, stop working and see how long you can go on for and see what happens.” A side effect of that was that people got more interested as [Bowie] became more and more elusive. KD: Can you talk about your own career a little bit. How did you become a curator? What are some of the landmarks of your career so far? GM: I am a jack of all trades. I trained as an archeologist. I worked for 10 years as a social historian at the Museum of London. I built the Manchester branch of the Imperial War Museum from 1993 to 1999, a museum of the British Empire in the 20th Century. I have worked at the Victoria and Albert Museum for about 10 years. One of the things that really interests me is scenography, and how that can take people out of where they are today and put them in different places. What has really interested me in museums is other humans and what it felt like to be somewhere, whether it is a Bowie concert in the past, walking around ancient Rome with Julius Caesar, or with Michelangelo painting the Sistine Chapel. There are two sides to fashion: the clothes you put on the person and the setting. Fashion allows us to be who we want to be, which I think is the difference between David Jones and David Bowie. Then, there is the setting. Theatre allows you to suspend disbelief for two or three hours. That is why I believe scenography is becoming more and more important in fashion. 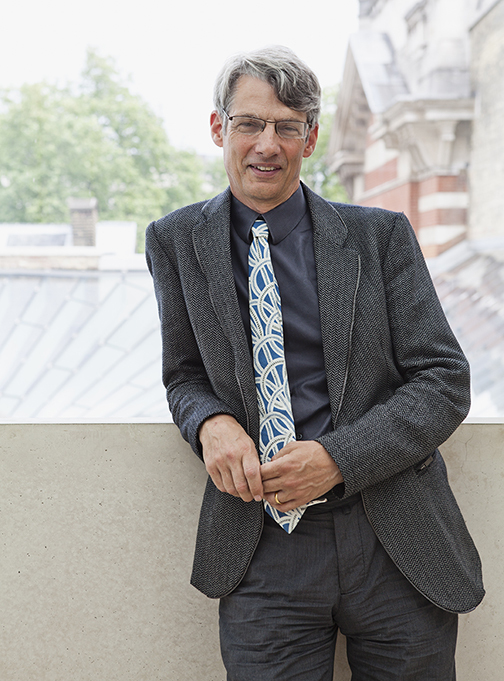 KD: What advice would you give to students who are considering a career as a curator? 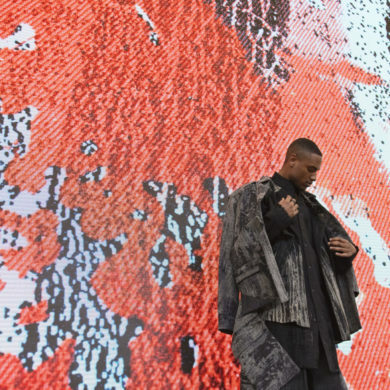 GM: A museum curator or a curator of fashion? 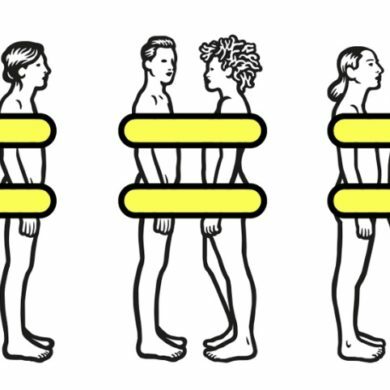 The first thing would be to say that all human beings are actually interested in other human beings. As a result of that, people are interested in costumes of all periods because they are a cool way of looking at other people. There are very few museums in the world that do really good fashion exhibitions because there are problems with mannequins, etc. 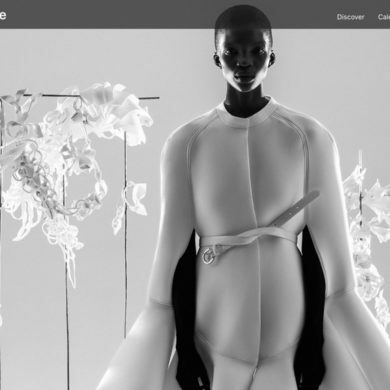 Alexander McQueen: Savage Beauty (when it was on display at The Metropolitan Museum of Art) in New York was very good, as the exhibit moved fashion in museums closer to where fashion is seen in commercial paces. The core thing is that fashion is very ephemeral, but the other thing is that costumes are a mirror of where we are in society. My advice to anyone wanting to do this is to show the world what you can do yourself! Anyone can go out, relatively cheaply, and get a collection of costumes to show themselves (shoes, lipstick, handbags, etc.) As far as I know, only a couple of people had approached Bowie about doing an exhibition. Extraordinary! Why don’t your students contact someone like David Bowie or President Obama or Oprah and ask to curate an exhibition featuring them? If the exhibition is any good, their work will show it. 20 years ago you had to grind away in museums and few people saw what you did. There are always empty buildings, empty store fronts and it has never been easier to draw attention to yourself…if you are any good. That’s the issue, why do people not do it? In the exhibition Bowie says, “Don’t follow me, just do what you want to do and get on and do it.” That’s my advice too. KD: Finally, what is your favorite David Bowie Song? GM: At the moment “Memory Of A Free Festival” from the second David Bowie album written in 1969 during a huge period of optimism. That song captures the idea of lying in the grass thinking you can do anything. 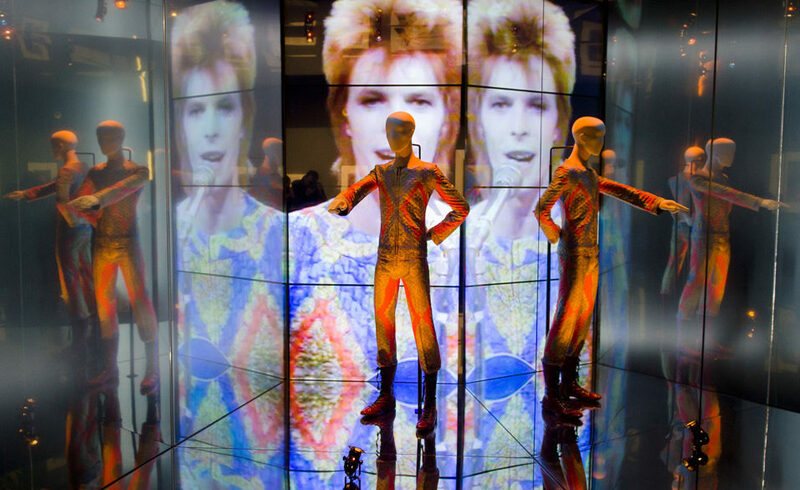 “David Bowie Is” is currently on display at The Victoria and Albert Museum until August 11th. 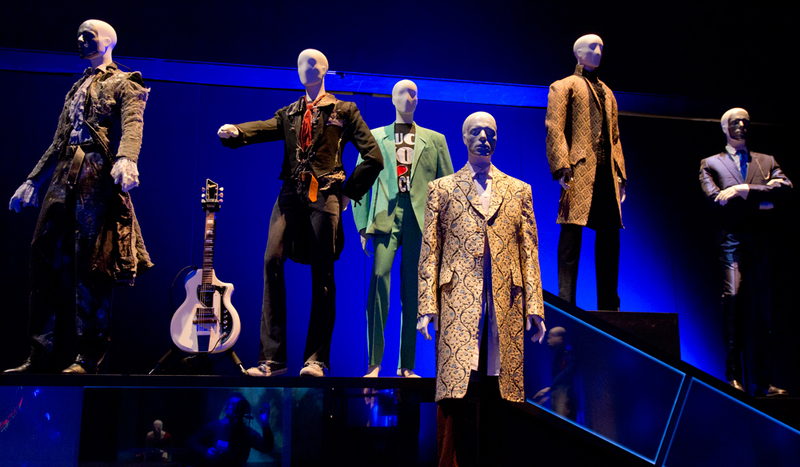 On display are more than 60 stage- costumes including Ziggy Stardust bodysuits (1972) designed by Freddie Burretti, Kansai Yamamoto’s flamboyant creations for the Aladdin Sane tour (1973) and the Union Jack coat designed by Bowie and Alexander McQueen for the Earthling album cover (1997). Also on show is photography by Brian Duffy, Terry O’Neill and Masayoshi Sukita; album sleeve artwork by Guy Peellaert and Edward Bell; cover proofs by Barnbrook for the latest album The Next Day (2013); visual excerpts from films and live performances including The Man Who Fell to Earth (1976) and Saturday Night Live (1979); music videos such as Boys Keep Swinging (1979) and Let’s Dance (1983) and set designs created for the Diamond Dogs tour (1974). Alongside these are more personal items such as never-before-seen storyboards, handwritten set lists and lyrics as well as some of Bowie’s own sketches, musical scores and diary entries, revealing the evolution of his creative ideas.